Synth, harmonizing water. Water temperature and flow rate are like volume and melody tone which should be carefully regulated in order to reach the ideal comfort. 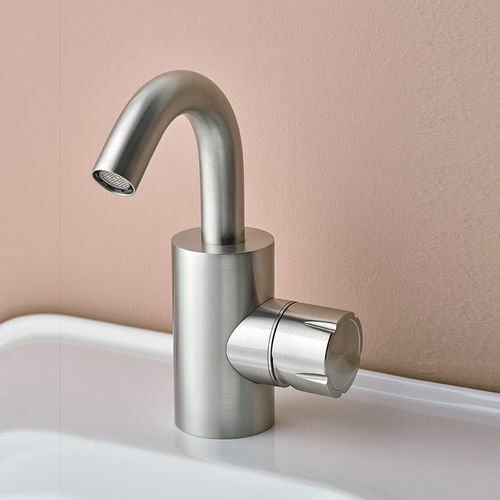 The tap control is enriched with incisions and grooves which allow to regulate movements. A smaller, restricted size is essential and proportionally light. The Synth collection made entirely of stainless steel consists of several proposals for basin, shower and bathtub. It likes matching vintage mood with contemporary projects.